1) Setup your binary repository. 2) Add the NetBSD ftp server to your host file. This is for convenience and can be removed when done. Note: I don’t know why the characters keep appearing after /ALL/ in the path statements below. It must be a WordPress bug and I’m not a developer. Just make sure that the end of the path statement ends with /6.1.2/ALL/” with no trailing characters. In other words, it should look like the paths depicted in step 1 above only it must end in a ” character. 4) Install pkgin on your system. 5) Update the pkgin database and install XFCE. 6) Configure the system to run XFCE. 7) Configure X and start the desktop. 8) Close XFCE to prepare for installation of software. a) Click on the mouse icon in the lower left corner of the desktop and click Log Out. 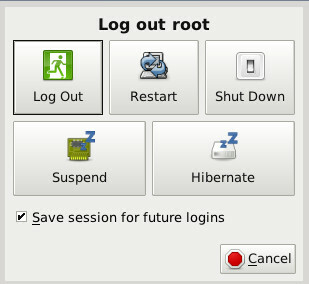 b) Click Log Out to exit XFCE. 9) Install apps as desired. This step is optional but I’m sure you want at least a current browser. Enter Y when asked proceed ? [Y/n] for each app. To launch firefox, enter the firefox command in an xterm. 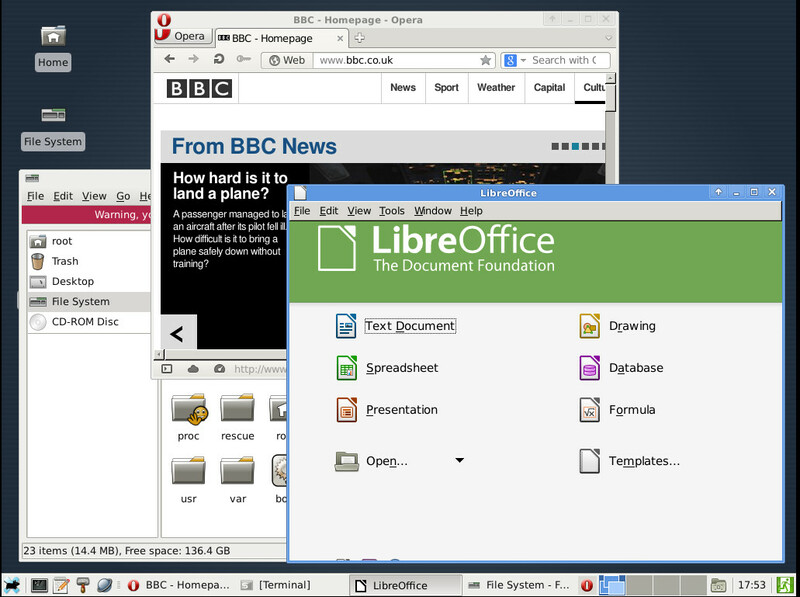 To launch liberoffice, enter the soffice command in an xterm. 9) Now that your apps are installed, start your desktop. Phew! This is quite an ancient version of xfce4 older than what Debian provides. Just testing it (coming from linux). Yes, I suppose the folks that maintain it don’t keep it as up to date as possible. I just wanted a solid, light desktop so I wrote the HOWTO because I thought it would be helpful. It is helpful, mcinintoshcd, thanks a bunch! It is helpful, mcintoshcd, thanks much! This is one of those “quirky” projects whose basic install is simple, where the gui and X often present problems/confusion. Thanks again! I agree. One of the chief complaints with the BSD’s is lack of thorough documentation for all elements of the OS. That tends to kill adoption for newbies. Its a never ending challenge to maintain so when I figure something out that’s a little obscure I post it in hopes of helping others who are struggling with the same issue. I really don’t know. You will have to check the OpenBSD site for details.